This is a tidy little town, and definitely a hidden gem on your tours of Ireland. It is a popular spot for anglers, and we have had clients on fishing tours who have loved it there. Headford Castle is worth seeing and it has great grounds around it. But the best historic ruins lie on the banks of the Black River. 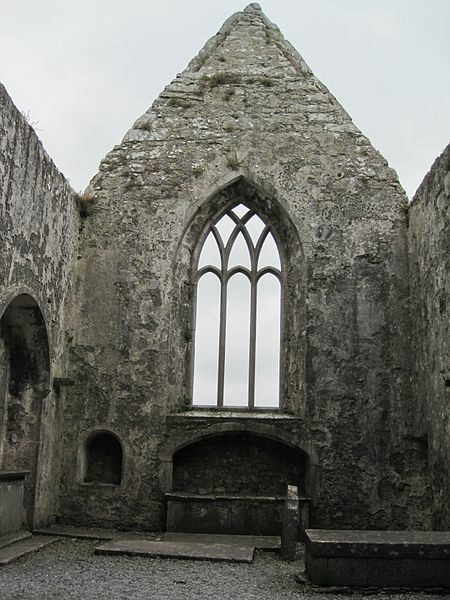 Ross Errily is the biggest and best-preserved Franciscan Abbey in Ireland. It was founded by Sir Raymond De Burgo in 1351. But the ruins that lie there now date from the 15th century. The Abbey was in use until 1753. Therefore, the church and cloisters are in very good condition. The smaller buildings are also good. These give a great impression of how life was in the Abbey. Also nearby is Moyne Castle. The square tower here has a very unusual spiral staircase. For all the best hidden gems in Ireland contact Ireland and Scotland Luxury Tours. We like to show you the real Ireland rather than just the tourist hotspots.